Being arrested or having a friend or family member arrested is an exceptionally tough and trying experience, and it can become even more upsetting if you don’t have the money to post bail. When your need is greatest, Around the Clock Bail Bonds is here to help. Around the Clock Bail Bonds are not here to judge you, your situation, or your family; our business is getting our clients out of jail as quickly and efficiently as possible. 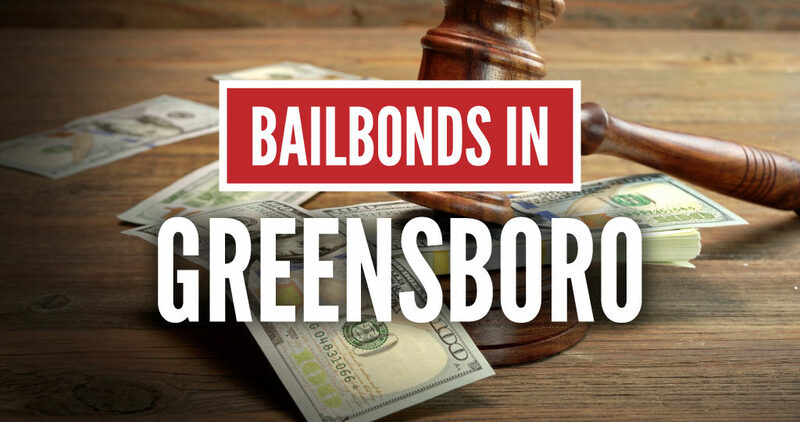 If you need bail bonds in Greensboro NC or the Piedmont Triad area, Around the Clock Bail Bonds is the unquestioned top bail bonds professional of Winston-Salem, Greensboro, and Burlington. When someone is arrested and charged with a crime, they are taken to jail after being booked and fingerprinted. Soon after this, a judge will decide on bail: an amount of money that must be paid to the court in order for the person to be released until their trial; this amount varies by the severity of the charge and can range from a few hundred dollars to tens or even hundreds of thousands. The intent of this practice is to prevent persons charged with crimes from fleeing — and while most people would do no such thing, the fact remains that in most cases, bail must be posted. Bail bonding is essentially a loan to allow you to get out of jail now while you come up with the money to post bail. Around the Clock requires a payment of 10-15% of bail to start the process; this deposit is non-refundable, even if the accused is found not guilty or the case is thrown out. Our bail bondsman will then post the remainder of the client’s bail. Next, we obtain collateral sufficient to cover the majority of the bond. We accept a variety of assets and payment options, including car titles and credit cards. (Collateral is returned to clients upon their appearance at their scheduled court date.) Finally, our billing department will work with the client, family and friends to determine a repayment schedule. Our courteous, discreet, and professional staff understands that many people do not have immediately sufficient assets to post bail, since arrests usually occur unexpectedly, and we offer a variety of financing options. Of course, guaranteeing that the charged individual will appear in court is still the purpose of bail, whether paid by an individual or by a bail bondsman, and in some rare cases the accused does not appear for his or her court date. In these instances, the State of North Carolina allows licensed bail bonds agencies such as ours to dispatch “runners”…personnel whose job it is to track down and retrieve fugitives. We’re here to make your life easier, not more difficult, but a bonded person who skips their court date is not a fugitive from us — they are a fugitive from the law. We cooperate to the fullest extent possible with state and federal law enforcement agencies to retrieve anyone who chooses to become a fugitive.It is in everyone’s best interest to always keep a court date and never attempt to avoid it. Fleeing just makes the situation worse and harder to resolve. We’re called Around the Clock Bail Bonds because life doesn’t wait. Arrests often happen at odd hours of the day or night, and so we have agents standing by to receive your calls 24/7, whenever you need us. When you or a loved one need courteous, professional and discreet bail bonds in Greensboro NC, Around the Clock has the solution. Call us, day or night, and we’ll help you achieve your freedom — so you can start getting your life back.